I unfortunately got a sick stomach a few hours before the awarding ceremonies but I watched via the stream and felt so proud of my colleagues here in You Got Tech. Congratulations are also in order for Juned, one of the tireless organizers (I award you the "Most Patient" medal lol). On a side note, Janette, Benj and I were also judges for the PBA (not an easy feat I tell you!). Markku too was a last minute volunteer. P.S. I'm not sure who nominated You Got Tech for the PBA, but THANK YOU anyway, we obviously got disqualified lol. 1. Research revealed that Bayan wireless landline users saved up to 50% on cost. 2. They want to bring back real conversation. It was when I was still working for a telco when I first heard about "wireless landlines". It was then an option for users who could not be reached by cabled phones. It was pretty tricky though since engineers had to install antennas on the roof of the house and service was quite flaky, depending on the weather. But one thing crossed my mind back then - can't they just make wireless landlines so we don't have to spend so much on mobile phone bills? Fast forward. 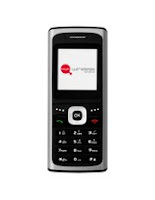 When Bayan launched their wireless landline (was it last year?) I thought, "Oh! This is it!" Originally the available units was this huge telephone (see photo). I've witnessed someone on the MRT using it though and it was placed in a huge sports bag. I wanted to take a photo but got scared that she might get mad. My Mom's amigas would also bring around their units (even during Garden Club meet-ups!). I know that our homeowners also got units for the guards in our village gates and this makes it easy to get in touch with them to call for cabs/tricycles and for help. Eventually Bayan introduced the cellphone-like units and one of the things I did was to collect flyers to compare prices. It ain't bad and the signal in our place is actually pretty good. I personally use my mobile phones like it's a landline and I prefer voice calls versus SMS-ing and I still burn the phone lines in the evenings to make telebabad. 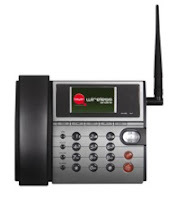 Methinks that having a wireless landline is good both for the user and the caller. The user's cost for phone bills is lessened and callers save a lot too since they don't have to have to pay for expensive mobile phone bills. Well maybe I'd eventually get a unit. Would you? If my Dad has his own laptop I'm sure he'll be surfing for news, news and news! And I'm pretty sure he'll become addicted to Google News Philippines as well. Yes, you heard it right, Google has now localized Google News for the Philippines and local internet users can now get news from over 4,500 English news sources, also from the Philippines! I am happy to share that the Philippines is the first country to have it localized in South East Asia! Hooray! 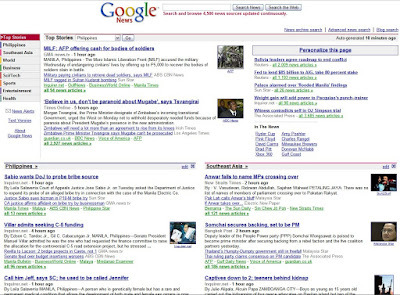 "Google News is great for both users and publishers in the Philippines. Our mission is to help Filipino users find the stories they're looking for as quickly as possible. Google News lets users easily check the most recent headlines from publishers around the world and then read those stories on the publisher's site. By making it easier for users to search news stories we help more people find more of the content created by Filipino publishers. Stories from publishers that readers already know and love, as well as stories from sources they may never have known existed. 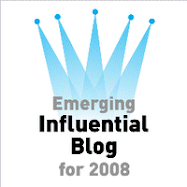 Readers get more stories -- and publishers get more readers on their site." What are you waiting for? Check out Google News Philippines. The past few weeks have been really busy for all the YouGotTech contributors and I'm glad to share that we've been getting invitations to tech events! We are THE tech blog for non-techies! Woohoo! One of the things I've been looking into lately are the hi-tech phones. I've been thinking about upgrading my phone with a unit that would make my mobile internet experience enjoyable. I don't bother using my phones to go online now coz the browsing experience is just really useless. And if ever I do decide (give it about a year more!) to change or upgrade my phone I'd want it to have the following useful features: (1) great internet browsing experience; (2) can take photos that would be usable for my blogs; (3) also videos; but I guess the most important feature for me would be #1 because without it I think I'd stick to what I have now till it conks out. Come to think of it it's like a pocket laptop which can also use to do calls and SMS. 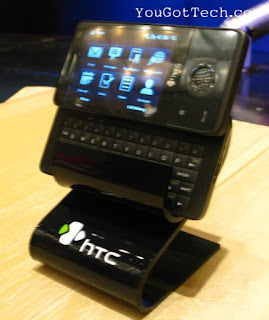 The HTC Touch Pro will be available in the Philippines by mid-September 2008 and SRP is at PhP50,800 (uhoh!). For more information about the phone please visit HTC.